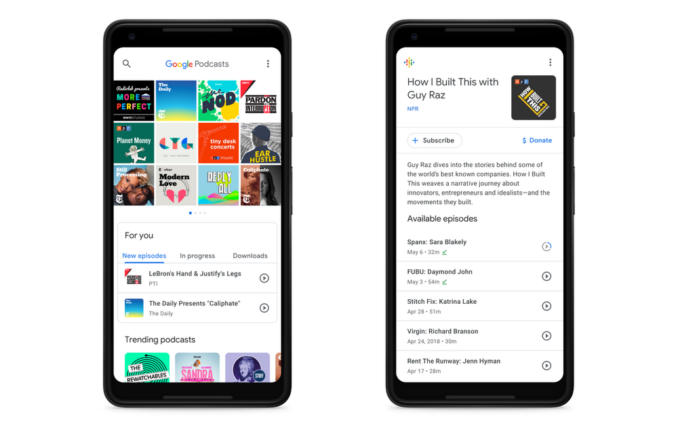 A new app dedicated to Podcasts has launched on Google’s Android platform, and via Google Assistant. Google Podcasts, available in the Play Store, allows users to listen and subscribe to any podcast, and uses AI to ‘offer recommendations based on your listening habits—such as your interest in sports or true crime, or podcasts from a particular network’. The service syncs across a variety of Google products, including the Google Assistant. So if you’re listening to a podcast on your phone during your commute home, you can resume it on your Google Home when you arrive. Over at Apple, iPhone users have had access to a dedicated Podcasts app for a number of years on iOS. Thanks to PodNews.net for the image.